Curt Gowdy State Park was established in 1971 and later named in March 1972 for famous sportscaster Curt Gowdy (1919–2006). Gowdy was born in Green River, WY, but he grew up and began his broadcasting career in Cheyenne. Recently named as an “Epic” trail system by the International Mountain Bicycling Association, Curt Gowdy State Park features more than 35 miles of well-marked scenic trails for mountain bikers and hikers of all ages. The bike trail system has everything from fast, flowy single-track routes and play areas to rugged rock garden climbs and artificial free-ride features. These scenic trails feature hidden waterfalls and challenging twisty rocky trails for intermediate and advanced riders. Beginning bikers will enjoy the miles of basic paths which wind between the reservoirs. For those who love the water, the park features three reservoirs: Granite Springs, Crystal and Upper North Crow. These beautiful waters offer up a variety of fish species, while boaters can enjoy untamed recreation from a different vantage point. Wintertime provides a change of pace where ice fishing becomes a popular sport. Spring and summertime provide adventure to campers who love the outdoors. 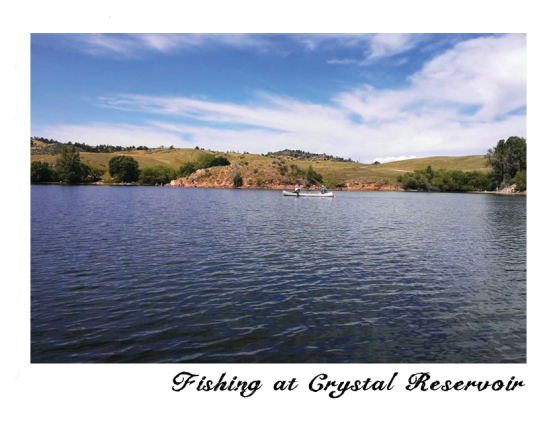 Curt Gowdy State Park features twelve campgrounds with reservable and non-reservable sites. Aspen Grove campground is next to a free public horse corral. Location: 24 miles west of Cheyenne, WY. To get there: Travel on Happy Jack Road (State Highway 210) to County Road 106 (milepost 23 ½ ). When to go: Open 24 hours a day. Park headquarters 7 a.m. – 8 p.m. Most park grounds are open year round, weather permitting. Some restrooms and most drinking water systems are closed October 1 through early May. Fees: Entrance fee $4 (resident), $6 (non-resident) per vehicle. Additional use fees may apply; see the Wyoming State Parks website (below).